For Steam Cloud saves on OS X/Linux, tf_saveData is stored in both the appropriate game save directory in addition to the game install directory. The newest file between the two is given higher priority. 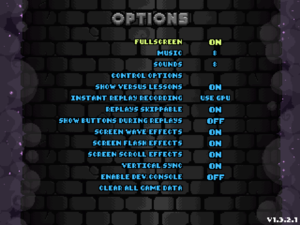 Game screen restricted to 4:3. Will stretch the 4:3 window to your aspect ratio instead of adding pillarboxes like when you choose fullscreen through the options menu. All controllers prioritized over keyboard. Only keyboard used in game. Ability to disable DirectInput controllers. 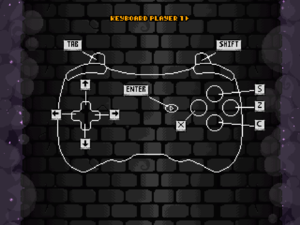 See Engine:FNA#About XNA Joystick Support. With unknown controllers defaults to Xbox buttons. 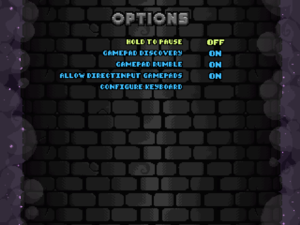 TowerFall Ascension provides the ability to display proper button icons for recognized controller hardware. The following files will be found in the same location as the save data, and can be edited by the user. Use this file to map a button list name to a series of sprites that will be used for the button icons. For example, the name "XB360" is bound to the icons in "xb360/" within the game's texture atlas. The list name can be whatever you like, as you will be using this in the next file. Use this file to map a GUID to a button list name from the previous file and a readable controller name, which will be displayed at the character select screen. For the GUID, refer to the docs at Engine:FNA#About GUIDs. 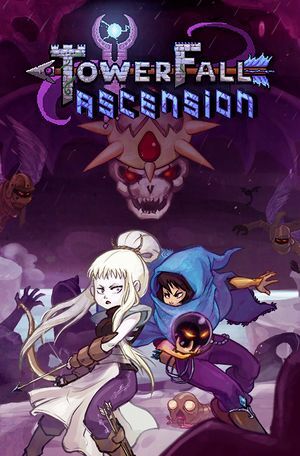 TowerFall for Linux supports the DualShock 4 light bar. The light bar will sync with the player's current archer color. glibc 2.15+. S3TC support is NOT required.